Facial yoga is an excellent remedy to plump facial wrinkles. Exercising your face muscles tightens, tones and improves skin elasticity. To lift the lines around your mouth, smile and push your fingertips into the groove between your lips and nose. Gently lift your cheek muscles and press the area for resistance. Hold for 15 seconds and repeat 25 times. To plump your skin at home, try a facial mask with natural ingredients. Blend one egg and 2 tablespoons each of rose water and glycerin. Apply the mixture to your face and neck for 15 minutes. Rinse with lukewarm water. Massage is excellent at promoting facial circulation and to plump the skin. 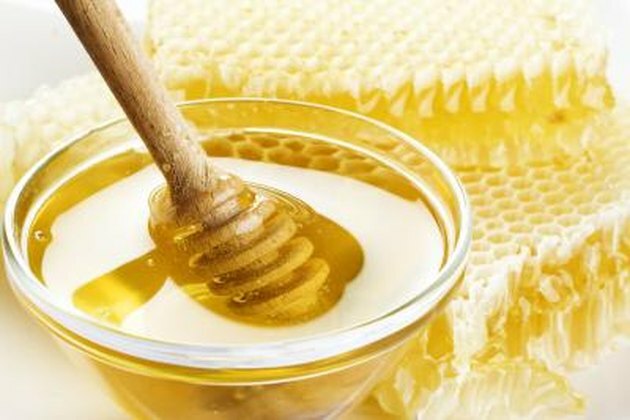 In a circular motion, massage your face using 2 tablespoons of honey for 20 minutes. Rinse with lukewarm water.